Prince has been given his own day in Minnesota to mark what would have been his 58th birthday. State Governor Mark Dayton has declared Tuesday (07Jun16) will be 'Prince Day' in Minnesota. The local hero died from an accidental overdose of the narcotic painkiller Fentanyl on 21 April (16), and fans have been in mourning ever since, but now there's a big celebration planned. Issuing his proclamation on Monday (06Jun16), Governor Dayton urged Minnesotans to wear something purple to honour the Purple Rain singer. Prince's birthday will also be marked at the Rock and Roll Hall of Fame in Cleveland, Ohio, with a Let's Go Crazy dance party. The pop superstar was inducted into the Hall of Fame in 2004. Meanwhile, animal rights activists at People For the Ethical Treatment of Animals (PETA) plan to celebrate Prince's birthday by re-releasing the song he gifted them in 1999. Fans will be able to download his pro-vegan tune Animal Kingdom, which Prince recorded to celebrate the organisation's 20th anniversary, for free on Tuesday. Prince's ex-wife Mayte Garcia has teamed up with PETA to encourage fans to celebrate his birthday by going vegan for the day "to see how much better they feel and to honour his kind legacy." As fans plan to celebrate the Kiss star's birthday, two new potential Prince heirs have stepped forward. One, Norman Yates Carthens, claims he can prove the singer adopted him, and insists there is a will that leaves a substantial part of the late star's estate to him. 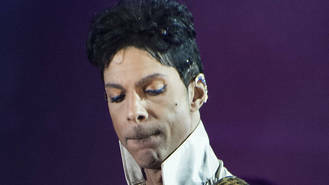 Carthens alleges Prince left him $7 million (GBP4.8 million). Prince's sister Tyka and their half-siblings maintain there is no will. Another new potential heir, a half-sibling named Regina Sorenson, has filed documents insisting she and Prince share the same father. John Legend plans to continue creating music while he produces films and TV projects. Lady Gaga's new album might not be released until 2017, according to Sir Elton John. Grammy-winning musician John Legend won't be quitting his day job while producing film and television projects. Pitbull, Cassadee Pope and Leona Lewis are set to perform together at the CMT Music Awards. Bebe Rexha wants to be the next Kanye West. Coldplay will honour Viola Beach at Glastonbury Festival following the tragic death of the band in February. Tom Jones only realised that his wife was "the most important thing in my life" after her death. Matt Willis has wanted Busted to reform for the last six years. Taylor Swift has reportedly ordered her ex-boyfriend Calvin Harris to take it easy after his car crash.